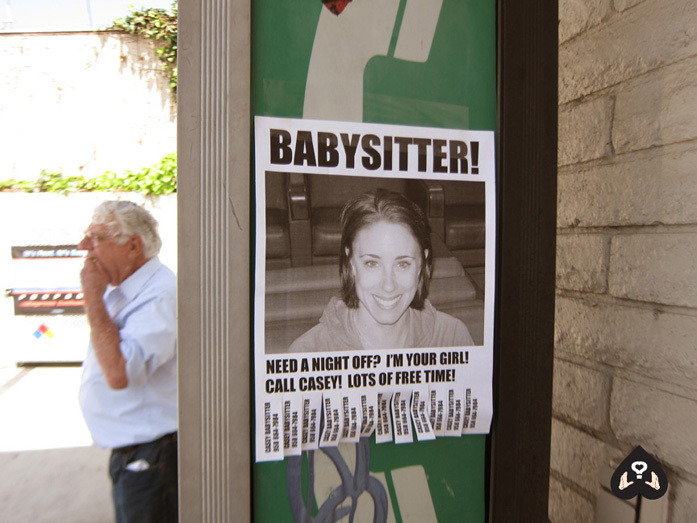 Casey Anthony was found not guilty of murdering her child. Although the evidence was damning, a jury decided she would never do that to her baby. I made this sign because her lawyer said she was having a hard time finding a job.